OXID eXchange | Magic Zoom Plus 4.3.14c | Stable | EE, PE | 4.0.x - 5.3.x - image | Module, Themes, Language Packs direkt herunterladen! Hover the image to zoom. Click the images to enlarge.Magic Zoom Plus™ is the best way to show beautiful detail in your products. 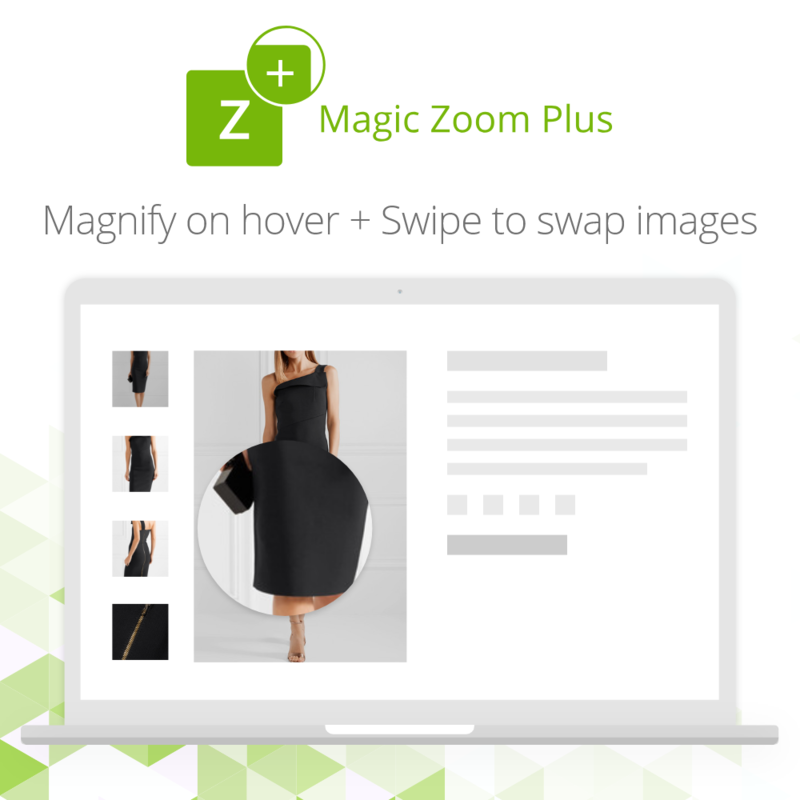 Hover over your images to zoom right into them. Download the free demo of this OXID extension now. High quality images can lead to a big improvement in sales on your site. Zoom with magnifying glass; hover or preview. Swipe gestures to swap images. Preview mode for quick enlarged views. Expanded view include thumbnails for easy browsing. 60+ refinements for enhanced user experience. Mobile ready - Touch-screen gestures for a great user experience. Responsive and retina-ready - Product images resize automatically to fit users screen. Easy to customize - 60+ refinements for enhanced user experience. Fast and friendly support - Our support is free. Contact us with any questions. Works with any theme - If Magic Zoom Plus doesn't work straight away, get in touch and we'll add support to your theme. Check out these image zoom examples to see how you can display Magic Zoom Plus on your Oxid eStore or watch our video! Launched in 2006 and improved constantly. Magic Zoom Plus is still the best zoom tool on earth! But don't take our word for it, see what 100's of users say. 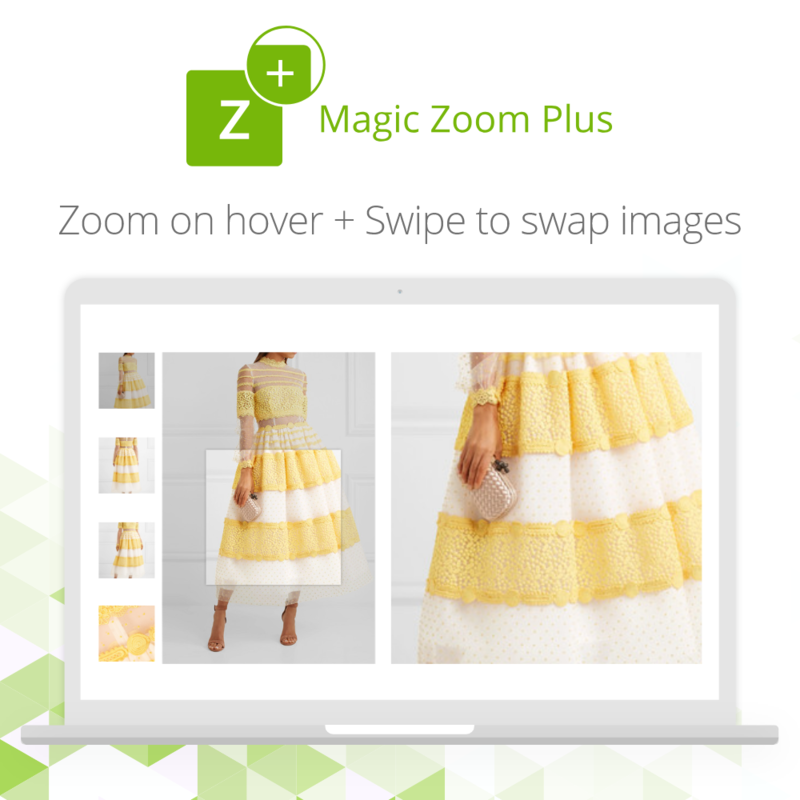 We offer all customers a 30-day money back guarantee, so buy Magic Zoom Plus with confidence. Install this product image zoom tool today to transform your product images and email us any questions.